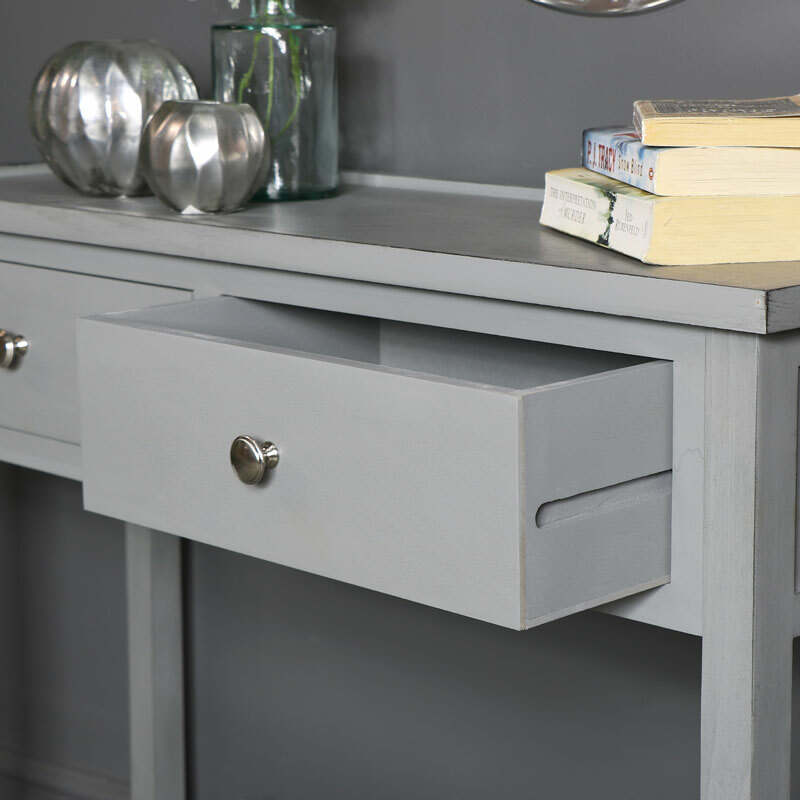 Grey console table with 2 drawer storage, round silver drawer handles and display shelf. Perfect living room or hallway furniture Offering a fresh look for modern, contemporary styled home decors. Two drawers give ideal storage with the top and shelf just what you need for display purposes. 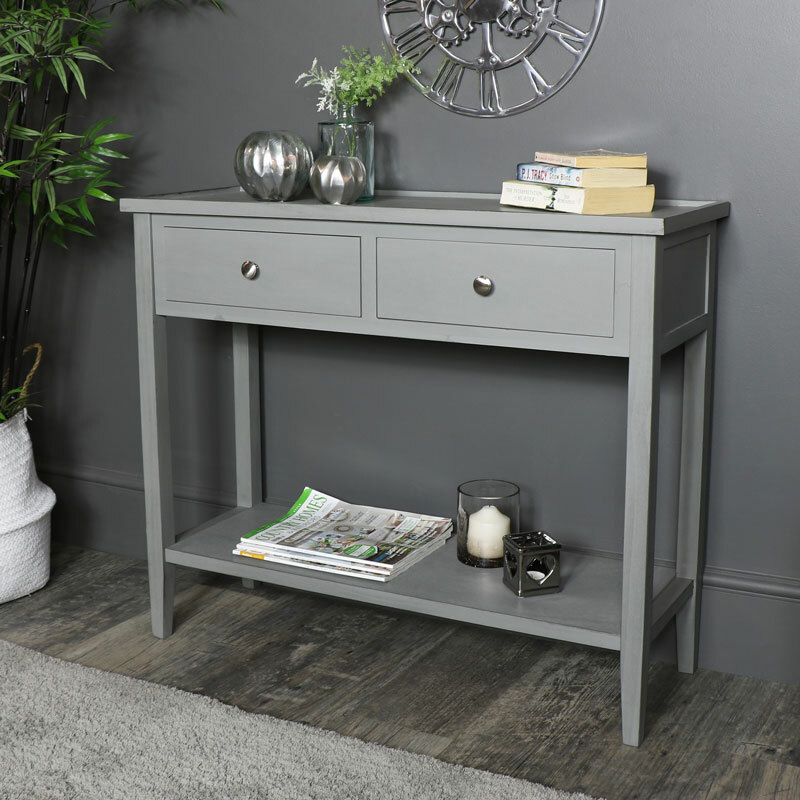 A stylish and practical addition to any home, we have many more console tables in a great choice of colours, sizes and styles. Offering a fresh look for modern, contemporary styled home decors. Two drawers give ideal storage with the top and shelf just what you need for display purposes. 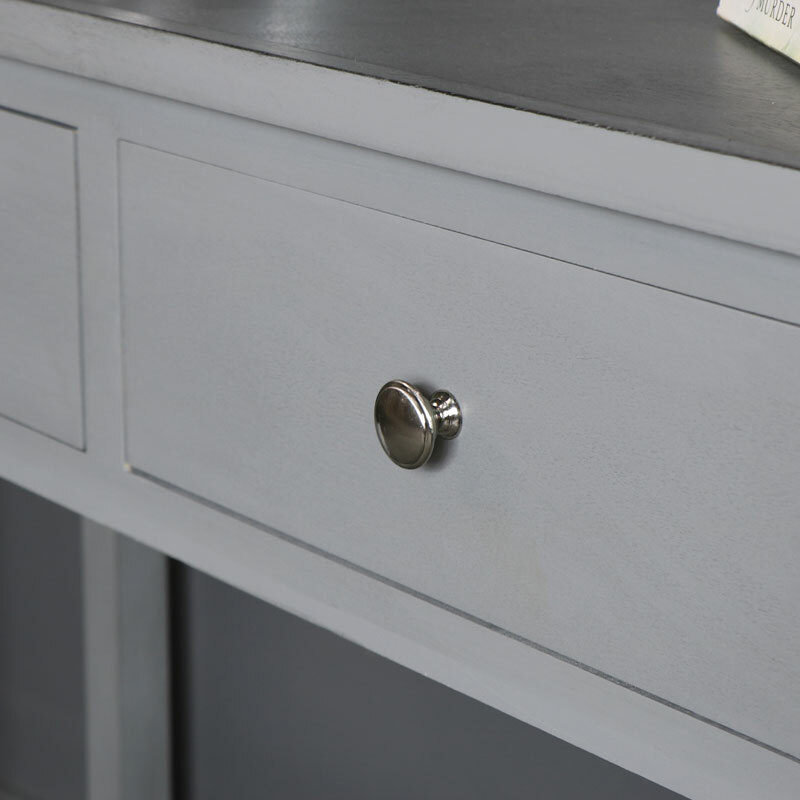 A stylish and practical addition to any home, we have many more console tables in a great choice of colours, sizes and styles. Made from wood win a grey finish with round silver handles. Assembly is required with the legs and base to attach. With a fantastic range of furniture at your fingertips, let us help you to create just the look you want for your home, complete furniture ranges to standalone pieces. Assembly is required with the legs and base to attach.